Signs are used on the exterior of any business to create a first impression to your visitors, customers and staff - make sure your signs say the right things about you. Our exterior signs are used for shop fascias, business signs, industrial signs and more – from complex signs for multisite locations, to pavement furniture or temporary signage. 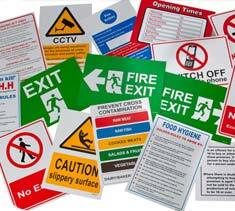 We also supply illuminated signs for maximum night time impact. Reflect your brand on the inside of your business as well with our indoor signage solutions. Ideal Displays has the ability to design, print, manufacture and install almost all forms of exterior & interior signage, meeting your brief and budget exactly. The world is full of external signs, whether it is business signs, industrial signs, temporary signs, illuminated signs or information signs, we see them every day. 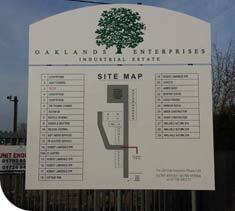 The production and installation of internal signage is a service that iDeal Displays has provided for many years. 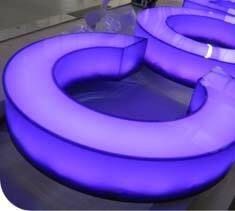 There are many different ways to illuminate your sign, all of which can be provided by ideal displays.